Driving Directions: From I-4 Take Exit 58 Toward Poinciana/Kissimmee Keep Left at the Fork to Continue Toward Champions Gate Blvd, Turn Left onto Champions Gate Blvd, Turn Left onto Loughman Rd / Polk 54 / Ronald Reagan Pkwy Turn Right on Pine Tree Trail Solterra on left. 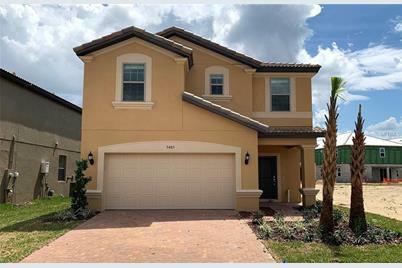 5485 Misty Oak Circle, Davenport, FL 33837 (MLS# O5777388) is a Single Family property with 7 bedrooms, 5 full bathrooms and 1 partial bathroom. 5485 Misty Oak Circle is currently listed for $452,290 and was received on April 15, 2019. Want to learn more about 5485 Misty Oak Circle? Do you have questions about finding other Single Family real estate for sale in Davenport? You can browse all Davenport real estate or contact a Coldwell Banker agent to request more information.